The Raspberry Pi was designed to be an educational computer. As part of that educational mission, the Raspberry Pi Foundation has gone out of their way to minimize the manufacturing and licensing costs in order to keep the final cost of the device down. Part of their cost cutting measures included not purchasing a pricey blanket license to use the MPEG-2 and VC-1 video codecs. 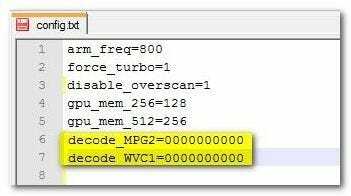 This doesn’t mean the Raspberry Pi is not capable of decoding media encoded in MPEG-2 or VC-1, but that by default the codecs cannot run on the Raspberry Pi hardware for want of a proper license. Fortunately the Raspberry Pi Foundation was able to make arrangements to sell individual licenses for each codec very inexpensively. Watch DVDs (either straight from an attached DVD drive or from ripped .ISO files). 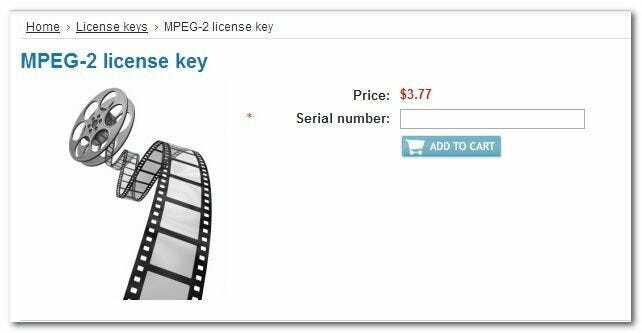 In this case you need an MPEG-2 license to decode the video on the DVDs. Watch my collection of AVI files. While AVI is technically a container format, not a codec, the vast majority of AVI files are encoded using MPEG-2 and as such you’ll need an MPEG-2 license. Watch content I’ve ripped or recorded using Windows Media Center (such as movies or television shows in the WMV container format). For this you’ll need the VC-1 license. If you’re unsure if you have the files types in question there are two simple ways to check. First, you can try to load the file in your Raspberry Pi media center. If the file is, for example, an MPEG-2 encoded video file there is a very high chance that the audio track will play just fine but the video track will fail to render, leaving the screen black. The more precise way to check is to examine the file itself using a tool like MediaInfo—you can follow along with our MediaInfo tutorial here. MediaInfo will tell you the specific video codec for any video file you examine. For this tutorial we’re assuming you’ve already got your hands on a Raspberry Pi unit and installed your operating system of choice on it. Further, we’ll be using a copy of Raspbmc for this tutorial under the assumption that many of our readers followed our Raspbmc guide and would now like to add in DVD/WMV support to their build. Even if you are using another Raspberry Pi distribution, the command line instructions and the manual configuration are still applicable to you and your Pi unit. We’ll be covering two methods: adding the license code manually and via Raspbmc—a popular Raspberry Pi-enabled distribution of XBMC. Access to the command prompt on the Raspberry Pi (either at the physical device or via SSH). First, we will walk you through getting the serial number off the board and purchasing the licenses you need. After that, we’ll show you how to manually add the licenses to your Pi or use the built-in tool within Raspbmc. Retrieving the Serial Number: First, visit the command prompt either at the actual terminal or remotely connected to the terminal via an SSH tool such as PuTTY. If you have a keyboard attached to your Raspbmc machine, simply select “Exit” out of the Raspbmc interface via the power button in the lower left hand side of the GUI. Press ESC to load the command prompt instead of booting back into the Raspbmc GUI. This will deposit you at the command prompt. Alternatively, if you would like to access the command prompt remotely, fire up your SSH client (such as PuTTY) and enter the IP address of your Rasperry Pi unit. Whether you have pulled up the command prompt directly at the machine or via SSH you will be prompted to login. The default login/password combination for Raspbmc is pi / raspberry. Manually installing the licenses: The manual installation technique works for any installation on the Raspberry Pi, including Raspbmc. To manually install the codecs, you need to power down your Raspberry Pi device, remove the SD card, and mount the SD card on a computer with access to a simple text editor. Locate the file and make a copy, renaming it config.old—this version will serve as a backup in case anything goes wrong during the editing process. Open up the original config.txt in your text editor of choice (we’re using Notepad++). Have a pressing Raspberry Pi-related topic you’d love to see us address? Sound off in the comments or write in to tips@howtogeek.com with your suggestions.